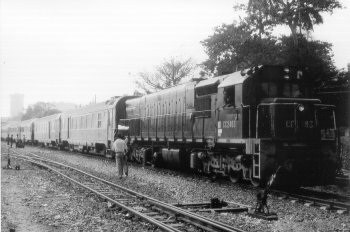 Locomotive CC2483, General-Motors Canada, manoeuvrant à Dakar. 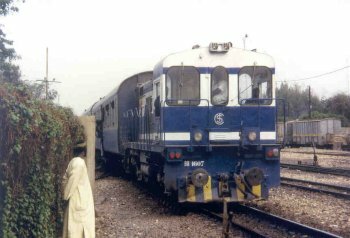 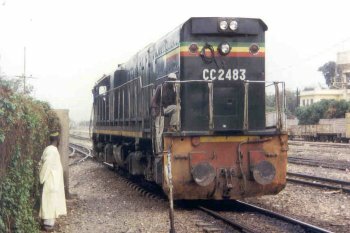 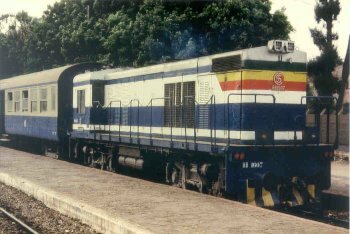 Locomotive CC2483, built at General Motors Canada, shunting at Dakar station. 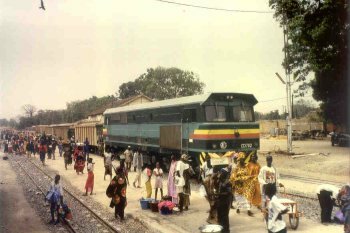 Freight train in the Tambacounda region in the East of the country. 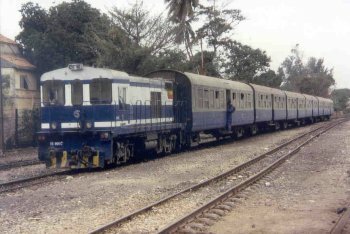 Güterzug in der Gegend von Tambacounda, im Osten des Landes.